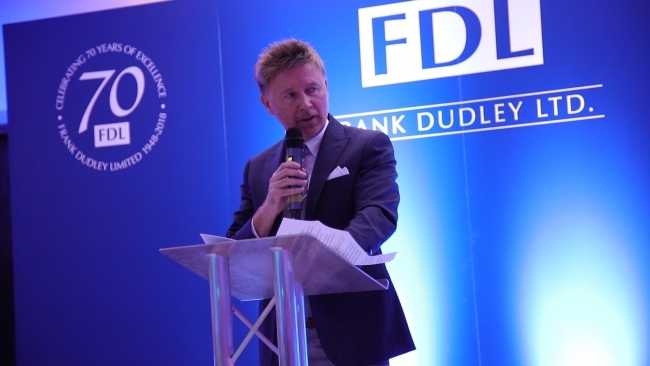 Operatic waiters, roving artists, live R&B music and a conga helped over 200 people celebrate three score years and ten of manufacturing in Birmingham for Frank Dudley Ltd. at Edgbaston Stadium on Saturday 29 September. The event raised over £1,700 for The Birmingham Children’s Hospital. Over 30 members of the Dudley-Toole family were joined by customers, suppliers, employees and friends at a gala dinner and party to honour the company’s founders and family who had devoted their lives to the Wiggin Street manufacturer of pressings and welded assemblies. Managing director Grant Dudley-Toole paid tribute to founder Frank Dudley’s hard work ethic when he founded the company in 1948, referring to the first supplier’s delivery note dated 27 September 1948. He remarked how hard it must have been to start a business when there was so little to go around in those post-War years. “Sometimes Mum got our clothes from The Salvation Army, so we occasionally went to school looking like Japanese Army officers,” Grant half-joked. A video showed original black & white and colour photos of the family and staff down five decades at the three factory locations. Grant referred to “a roller coaster 2018”, during which his mother and company matriarch Jill Dudley-Toole passed away in April, shortly after receiving an MBE for services to the local community and Birmingham charities. In June, purchasing manager Warren Dudley-Toole collected the MBE from HRH Prince Charles on Jill’s behalf, with Grant and sons Josh and Elliot watching on. Grant acknowledged the ebb and flow of life in a tough industry, winning new business and losing some in 2018, but surviving and fighting on for over 70-years. Frank Dudley Ltd was now building for the future he said, investing, taking on three new apprentices and with three members of staff, Alex, Brett and Seamus, who are expecting babies this year. Sertec Group’s CEO Grant Adams congratulate Frank Dudley Ltd on its achievements, then made a poignant speech about the challenges and strengths of being Birmingham manufacturers, collaboration and supporting one another. The evening was a huge celebration of life and work, with guests entertained all night by magician Phil Taylor, specialist act The Roving Artist who skilfully cut life-like silhouettes of guests from card, and funky R&B band Tru Groove. The piece de resistance were trained West End opera singers who masqueraded as Edgbaston staff until they burst into song, rousing the party into full choruses of “That’s Amore” and “I Love You Baby”, capped with a 60-person conga snaking across the room. Josh and Elliot Dudley-Toole, managers at the family business, paid tribute to founder Frank, their late grandmother, and the hard work ethic of their loyal staff. 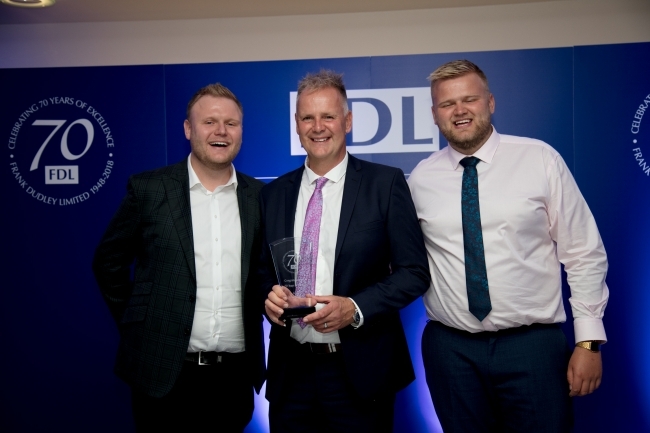 They also praised the efforts of Grant, Warren and shareholder Lynne plus Oli and Brian Chappelhow who helped organise the “party of the decade”, and suppliers and customers for supporting the firm through good times and bad. The gala celebration raised over £1,745 for The Birmingham Children’s Hospital, co-founder Jill’s favourite charity, to which she personally donated tens of thousands of pounds in her lifetime.